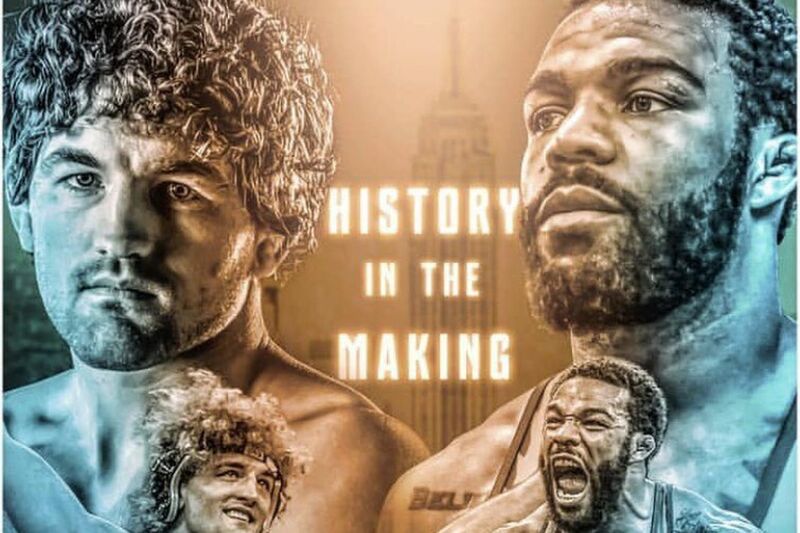 Ben Askren is set to face Olympic gold medalist Jordan Burroughs at Madison Square Garden on May 6. While Ben Askren’s next fight in the Octagon will be Jorge Masvidal at UFC 239, the former ONE and Bellator champion has been booked to face an Olympic champion on the mats in May. Jordan Burroughs is 5-time world champion who took home gold at the 2012 Olympic Games in London, England. Burroughs has won all there is to win in wrestling and at the collegiate level he was a 2-time NCAA champion and the winner of the Hodge Trophy. Interestingly, Burroughs and Askren will meet at 163lbs, a full 8 lbs lighter than Askren is contracted to weigh in at when he fights in the welterweight division. Askren might not be as accomplished as Burroughs on the international level, but he was a Pan American champion, an Olympian, a 2-time NCAA champ and a 2-time Hodge Trophy champ, so his skills can’t be disputed. Askren has competed in grappling sporadically since the 2008 Olympics, getting submitted at ADCC 2009 with a nasty toe hold and winning the Dave Schultz Memorial Open in 2010. Beat the Streets “Grapple at the Garden” goes down on May 6 in New York at Hulu Theatre inside Madison Square Garden, which can be streamed via FloWrestling.